This is one of the best apps when it comes to dealing with the randomness your players send at you. This app includes many different generators including names, cities, characters, taverns, weather, plot hooks, omens, cards, and a few others. When your players ask you for the name of a random NPC that you haven’t planned, or when they talk to a priest predicting the end of the world and he talks about omens you can find a random one right here. For someone who is horrible at making names this is one of the best apps for use at the table. For $0.99 this is probably the best DMing tool I have purchased to date. This site is dedicated to role playing games. It has everything from rule and system discussions to campaign ideas and monster stats. if you would like to run a seafaring adventure in 5e but the rules have not come out yet, they have articles about it. Running a horror campaign? They have articles about that as well. The site has many contributors each with different specializations who post throughout the week. This is a great source for rules, rules variants, and inspiration for your campaigns. Another music service with a lot of quality music for RPG’s. This one is a bit different than Syrinscape because you buy the tracks or albums rather than having to subscribe to a monthly service. It works quite well, though there is no app and the sound board needs a bit of work in terms of usability. This tabletop music service offers a wide variety of different soundscapes for your role playing pleasure. They have cyberpunk, futuristic, many different monsters, and much more to use while role playing. It is available across many platforms as well but is also quite expensive. If you play in a private space and are limited by the other soundscape options I would check this out. This is a great background music app that has both sound effects and high quality music for your D&D campaigns. It’s a very useful app and is great for adding atmosphere to your gaming group. Having these background sounds can really immerse the players in the game. DMDJ has one of the most intuitive user interfaces for using the music. iOS users can upload their own music as well and that feature should be available for android soon. Fantasy Grounds is a tool that D&D has partnered with to create a fully virtual tabletop. This can be very useful for anyone DMing over skype and having to share their story and run their game over the internet. I have not tried it yet but it would be a mistake to omit it from this list. Roll20 is another great virtual tabletop for playing with people online. They have partnered with many different systems like Dungeons and Dragons, 13th Age, and Monte Cook games. It integrates video and voice chat as well as character sheets, dynamic lighting, and dice rollers for your campaign for the full experience. Best of all, it’s free. There is a marketplace for additional official assets and modules from amny different publishers. Obsidian Portal is an easy to use wiki-like service where you can keep track of your campaign and share it with your players for free. It is a great help for recording people, places and things especially when a group has irregular players who miss often or there is a lot of time between sessions. It can also be useful for Low Obligation Games (LOGs) though having the paid subscription would be the best way to run those. This program is a very in depth storyboarding program that can help you create and maintain your fantasy world. I would recommend this if you are building an entire fantasy world with different lore and ages to keep track of. There are features such as timelines, major events, eras, significant people, and much more that you can use in order to organize your thoughts of your campaign and world. This can be very useful where other options like Obsidian Portal and OneNote don’t give you enough structure and control over your entire game world.If you are consistently playing with the same group and have been for years there is a way to start and run sessions through Realm Works but everyone needs to invest $10 to buy the player version of the software. The DMing full software costs $50 so it isn’t cheap but if you would like a good way to organize an entire realm and it’s lore I highly recommend it. This software by Microsoft is a type of note taking software. It is free to use and is great for organization. The software lets you put your notes in notebooks, sections and pages which makes it like using your own big digital notebook. I believe that it outshines all other note taking software like Evernote and Google Drive and it is also free. The best use for this from my point of view is bringing notes to the table on a tablet/computer and taking notes during the sessions. I use this for session notes and monster stats as well as maps sometimes. For people focusing on D&D 5e this service is amazing for DM’s and Players. There is a free tier as well as different paid options. The free version gives the GM and players access to all of the SRD classes, races, magic items, monsters, spells and more. There is a character creator buit in and for free you can also create campaigns as a GM and organize the players’ character sheets. Players can use this to both create their characters and use them in play. It’s very easy to use and can be used on just about any device (phone, tablet, PC, iPad, etc). There are many different options for purchasing content, subscriptions are used for having multiple different campains beyond the basic setup. You can also buy all of the different supplements that have come out so far for 5e in digital format for one time payments. These are then included in all the resources, searches, and the like. Players who are on your campaigns are also able to access all of the materials the GM has purchased. ProFantasy makes an amazing set of tools for people who want to build maps of their world. Their software is based on CAD software but incorporates many different themes for your map. They have many different textures, building templates and other objects that can make your maps look stunning. The styles they offer vary by different cultures and regions and there are many more icon and map packs available online. There is even a random world generator where you can build the entire planet your adventures are set on. They’ve hired professional cartographers and the like to help create these maps and software. One of the best things about their software is the ability to use fractal terrain. The rivers, coasts, and roads will look much more realistic when there are no perfectly straight lines and instead of you having to do that by hand they built it in for you. The biggest downside is the price for this software. it is around $50 for the base programs with each add on costing quite a bit. It is very professional software though and if you would like to make some amazing maps we highly recommend. it. This is an in browser mapping tool that allows you to create amazing maps without the need for any special software. Azgaar’s Fantasy Map Generator is a great random world generator available for free online. It can generate full featured random maps with a lot of different information including the political country map, cultural map, and heightmap. Each view can be customized and has everything from the routes between the cities and countries to the rivers and burgs. There are all exportable to .map, .svg, and .png formats. From the same company that makes Realm Works, this software is an in depth character creation and management tool and includes DM tools for managing combat and encounters. It offers D&D 5e SRD Support with extensive community support available. You can also get official content from Kobold Press (Tome of Beasts) and other third party companies like Rite Publishing and Total Party Kill Games. It currently costs 34.99 for the software and one rules system. Other rules system data requires additional purchases but it supports many different game systems. The D&D 5e and Pathfinder rules are also available on their iOS app, no app has been created for Android devices as of yet. Sometimes you have an unexpected new player or a character death at the table and you need a pre-made character fast. 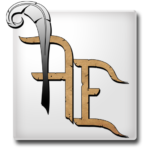 This site gives you just that and with 5e it gives you some great customizability with the template you choose. They have characters pre generated over many different levels with backgrounds that fit them and include all the different class options. When looking for character sheets on the fly I was very pleasantly surprised when I found this.